Our interview with Jeff Macdonald, global brand director of BACARDI rums. The pressure of permanent WiFi access and using mobile devices on family togetherness was recently covered in a New York Times article ‘Quality Time, Redefined’. BACARDI’s new Together campaign for its core spirit brand focuses on bringing back real human connections. We’ve interviewed Jeff Macdonald, the global brand director of BACARDI, to give us an exclusive behind-the-scenes look of the campaign. Take a look at the making of the ‘Manifesto’ campaign. The BACARDI marketing teams around the world have been translating this liberation idea into locally relevant activities. One of the ideas was a street party where people living in different apartments are given the individual items for a BACARDI Mojito cocktail and an invite to their local street party and then have to work together to create this classic cocktail at the party. The new campaign is still using TVC’s to recruit people for the movement and social media to keep the conversation going but the real key of the campaign is walking the talk by organizing local brand activations. The idea reminds us of what Coca Cola has been doing with expedition 206 and the Happiness Factory idea. Would you agree? Challenges such as a loss of neighborly values and solutions such as the street party for which they need to work together builds on the idea of gratifications and gamification as explained in our book’s chapter on happiness. The BACARDI Together campaign builds further on last summer’s “Island” campaign of BACARDI in which people came together to form an artificial island and have a party. In our research among LDA Millennials we saw that this commercial was already in the top most liked ones. “But this campaign is now focusing more on the deeper human connection of shared social moments and less on the event or the experience,” comments Jeff Macdonald. 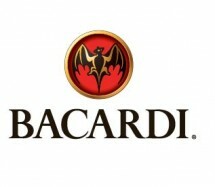 So what did Bacardi learn from the soft launch in the US and Canada at the end of last year? 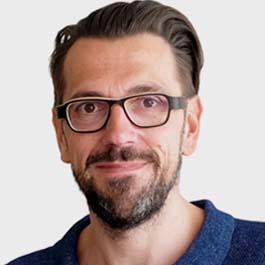 As a global brand director connecting with a big part of Gen Y consumer (LDA 21-29 year olds), what would you consider to be the biggest challenge in targeting this generation?